A proposal to downgrade protection of barnacle goose, therefore making it legal to kill them, has been rejected. The suggestion was put forward by Norway to the Standing Committee of the Bern Convention, but has been turned down following consideration this week in Strasbourg. Numbers of Barnacle Goose wintering in Britain that breed in Svalbard, in Arctic Norway, have risen from a few hundred in the 1940s to 42,000 today. This is, in part, thanks to conservation efforts that prevented the bird from sliding towards extinction several decades ago. The Wildfowl and Wetlands Trust (WWT) voiced concerns over the proposal earlier this week, having provided scientific research to make the case for legal protection, and since 1970 has given the Svalbard population safe wintering sanctuary at its Caerlaverock Wetland Centre in Dumfries & Galloway. However, Norway wanted to move the species from Appendix II to Appendix III, consequently reducing the level of protection so that arable farms and airports could control numbers. In some areas the geese are deemed a pest when they feed on crops, while large flocks can present a hazard to low-flying aircraft. 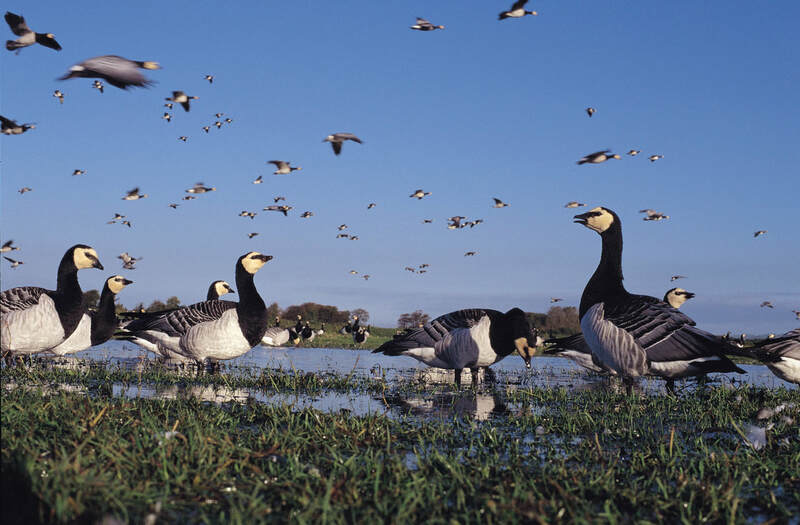 Following the decision, WWT Director of Conservation James Robinson said: "We're pleased to see the future of Barnacle Geese assured, for now, and that decades of conservation work won't be thrown away. This isn’t a defeat for crop growers or airports who may need to control Barnacle Geese in limited circumstances; they can still do that. "We believe good evidence helps to prevent bad decisions. WWT's research and monitoring suggested all along that the current protections for Barnacle Geese are working and we look forward to helping with creation of new, evidence-based management plans for these birds. "Barnacle Goose was listed on Appendix II at a time when the species was threatened. Although the overall numbers have increased rapidly across Europe since then, WWT does not see the need to change the listing of the species at this time. Existing exemptions, as set out under Article 9 of the Bern Convention, provide adequately for regulated management where significant conflict with agriculture or air safety is identified. something we understand is sometimes necessary."